Call (623) 544-3304 or email. Have you ever wondered, “what’s the sense of praying?” Do you think that prayer is only a serious ritual saved for personal pleas or religious practice? Have you any idea how much God loves you in all of your daily moments and waits for you to share them? (Yes, all of them!) 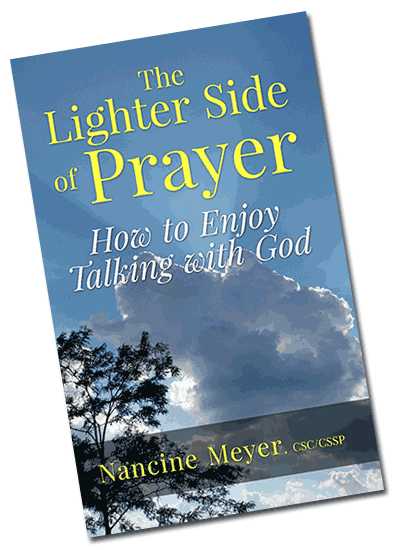 The answers to these and other spiritual concerns are plainly sorted out in this small but remarkably inspiring book, The Lighter Side of Prayer. 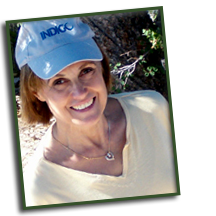 Author Nancine Meyer is a certified spiritual coach and psychic guide who is genuinely dedicated to helping each person she meets enjoy a more delightful, self loving experience in each present moment. In her first book, she shares with simple love and clarity what human nature’s true makeup is and what prayer has to do with it. As always, you’ll be engaged with your angels and as well as hers. Click the button below to buy your copy today: $6.00 download. You will receive a link to download your book in PDF format. "The Lighter Side of Prayer."